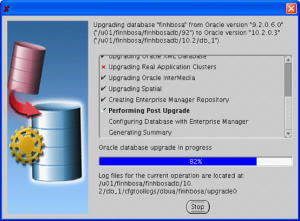 VMCD.ORG » ORACLE – 9i to 10g database Upgrade using DBUA. 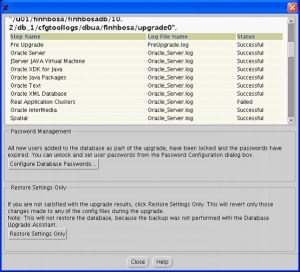 ORACLE – 9i to 10g database Upgrade using DBUA. defined in pfile of spfile. 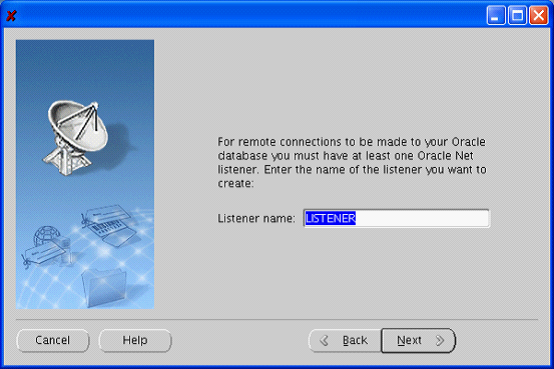 LOGIN TO NEW PSERIES MACHINE AS oraprod user. To make sure run the following to ascertain correct paths below. Firstly create the /NLS/DATA/9i data directory. for customer needs to revert back to 9i locale behavior. Make sure perl utility being used points to the 10g oracle environment. fail as the old version of perl is picked up. 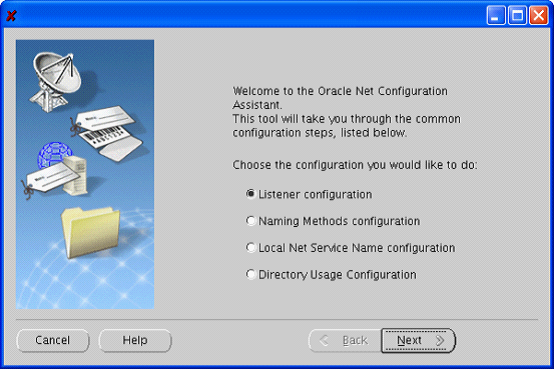 First unset TNS_ADMIN so that the old 9i environment is unset. 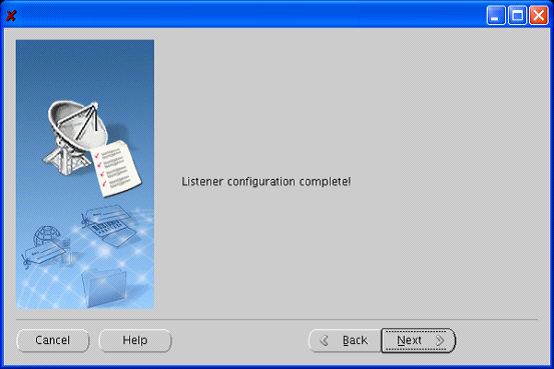 Use same listener name as in old machine….FINPROD was used here and not LISTENER as above. Important : START THE DATABASE in the 9i environment and not from the new 10g environment. If you haven’t changed your .profile and are still using the 9i .profile , just log into a new session so that the old 9i environment is picked up. In this section all the steps need to be performed to the previous version of Oracle. 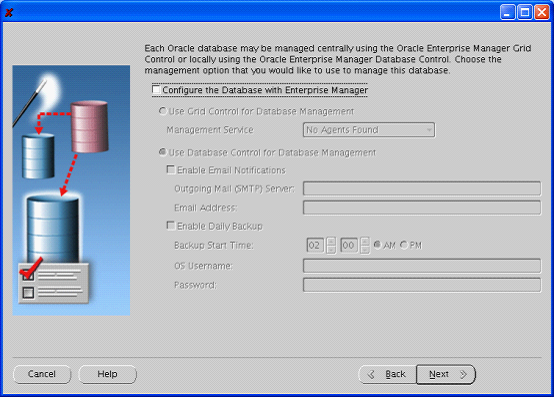 Please note that the database must be running in normal mode in the old release- i.e 9i environment. 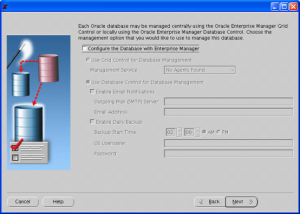 cp $ORACLE_HOME/rdbms/admin/utlu102i.sql /tmp—have to be in the 10g environment to do this. Make a note of the new location of these files. Change to the temporary directory that you copied files to in Step 1. 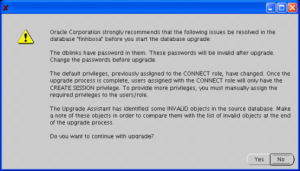 Start SQL*Plus and connect to the database instance as a user with SYSDBA privileges. Then run and spool the utlu102i.sql file. 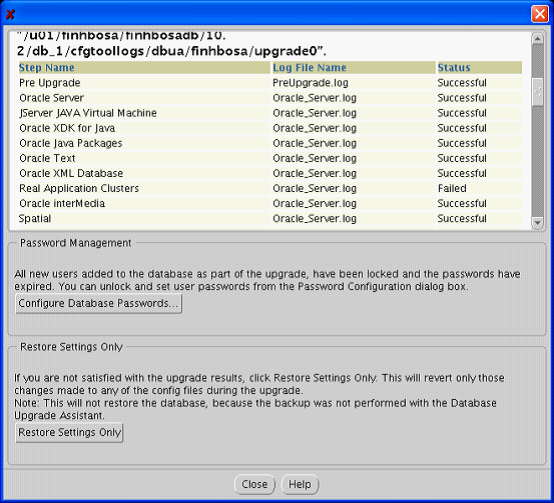 sqlplus ‘/as sysdba’ —In 9i environment. 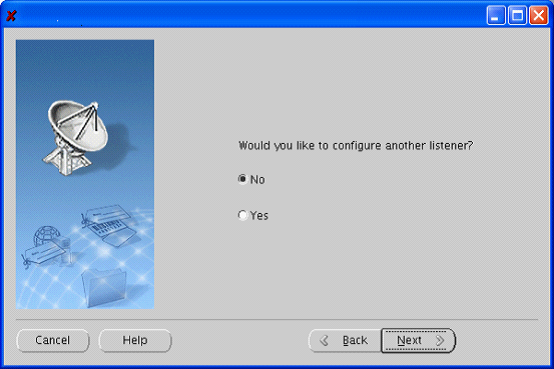 Then, check the spool file and examine the output of the upgrade information tool. 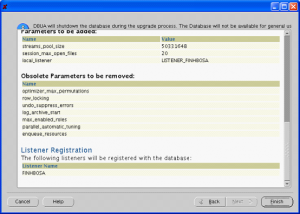 The sections which follow, describe the output of the Upgrade Information Tool (utlu102i.sql). This section displays a list of redo log files in the current database whose size is less than 4 MB. For each log file, the file name, group number, and recommended size is displayed. New files of at least 4 MB (preferably 10 MB) need to be created in the current database. 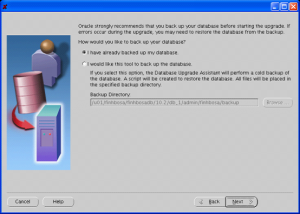 Any redo log files less than 4 MB must be dropped before the database is upgraded. 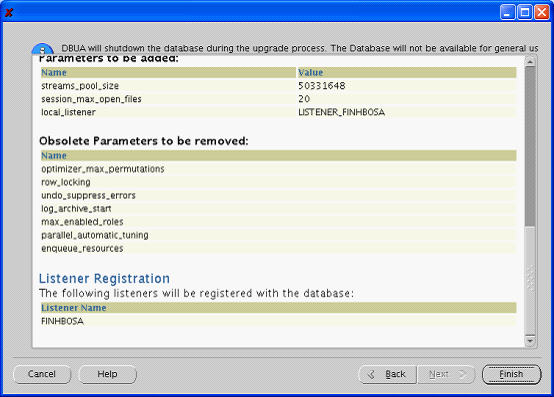 This section displays a list of tablespaces in the current database. For each tablespace,the tablespace name and minimum required size is displayed. In addition, a message is displayed if the tablespace is adequate for the upgrade. 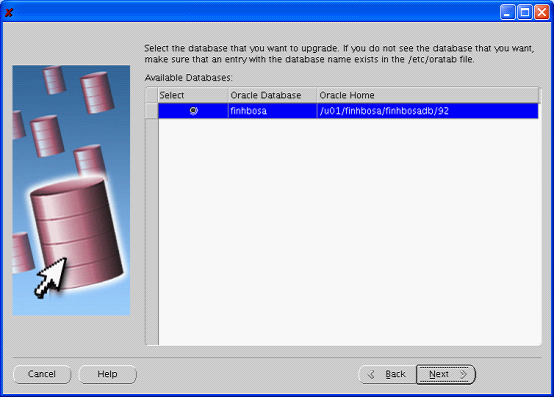 If the tablespace does not have enough free space, then space must be added to the tablespace in the current database. Tablespace adjustments need to be made before the database is upgraded. 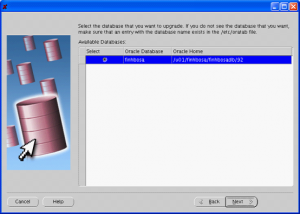 This section displays a list of initialization parameters in the parameter file of the current database that are deprecated in the new Oracle Database 10g release. initialization parameters need to be removed from the parameter file before the database is upgraded. 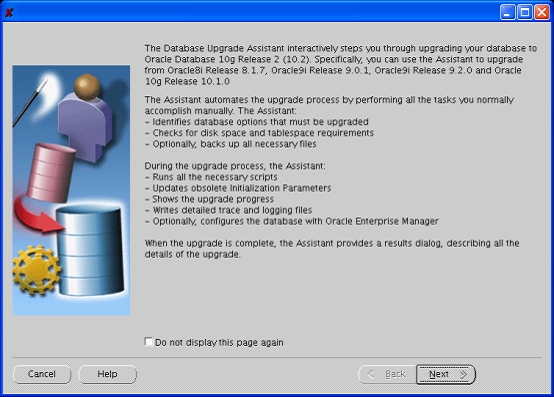 This section displays a list of database components in the new Oracle Database 10g release that will be upgraded or installed when the current database is upgraded. 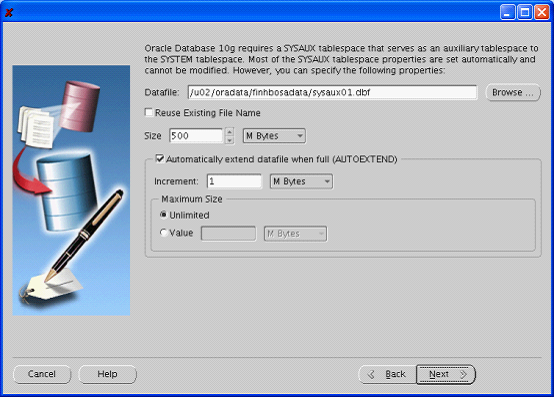 This section displays the minimum required size for the SYSAUX tablespace, which is required in Oracle Database 10g. 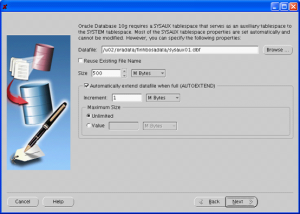 The SYSAUX tablespace must be created after the new Oracle Database 10g release is started and BEFORE the upgrade scripts are invoked. 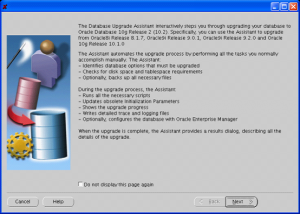 However since we are using DBUA to upgrade, the assistant will prompt you for the creation of the SYSAUX tablespace so there is no need to create it manually. 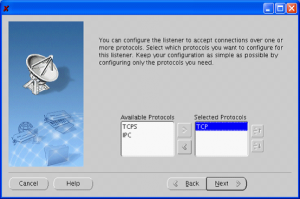 The CONNECT role in 10g Release 2 has only create session privilege. 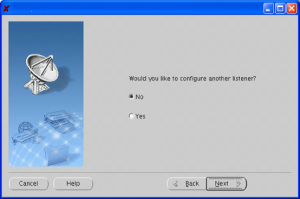 Therefore create a new role with the usual privileges which CONNECT role had in 9i and grant it to the users who are not generic database users. Grant all privs usually associated with the CONNECT role in previous versions. Run @grant_connect1.sql and make sure any bb staff I’d are in quotes. 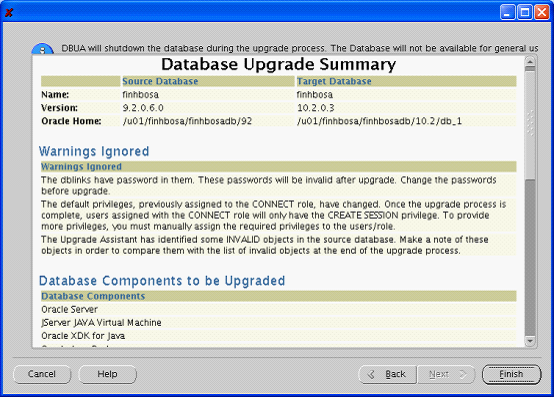 During the upgrade to 10gR2, any passwords in database links will be encrypted. To downgrade back to the original release, all of the database links with encrypted passwords must be dropped prior to the downgrade. 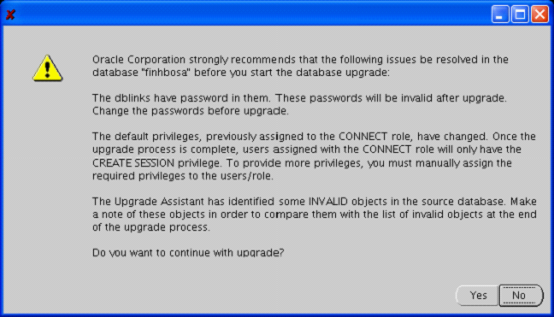 Consequently, the database links will not exist in the downgraded database. If you anticipate a requirement to be able to downgrade back to your original release, then save the information about affected database links from the SYS.LINK$ table, so that you can recreate the database links after the downgrade. To run this script, connect to the database AS SYSDBA using SQL*Plus. The above steps take 1.5 hours max. echo all the env variables above and then proceed. 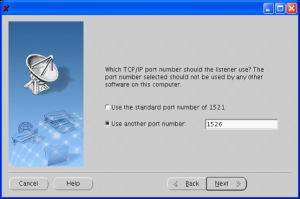 The TNS_ADMIN environment variable is not set in 10g. 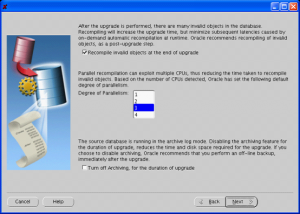 “Installation Guide for Solaris Operating System (SPARC 64-Bit)” wants it to be unset during software installation/database upgrade. 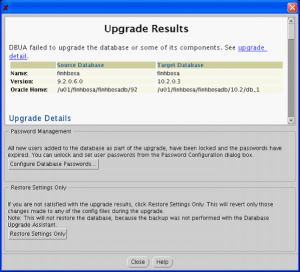 During DBUA’s “Pre Upgrade” check, it runs database from 9.2 home. But?in an?Oracle E-business Suite environment?the sqlnet config files?are not in the default location of $ORACLE_HOME?/network/admin, therefore?DBUA cannot resolve the local_listener. 1. 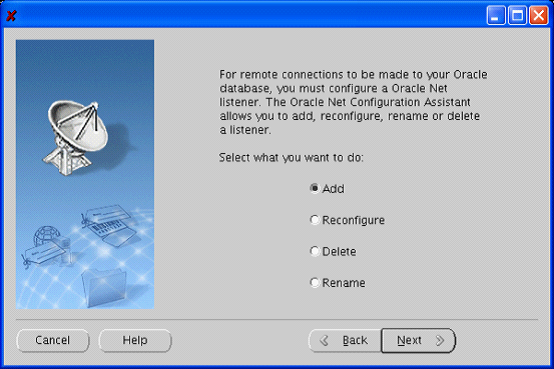 Make sure that the sqlnet config files listener.ora, tnsnames.ora, sqlnet.ora are in the default location of $ORACLE_HOME/network/admin.? This should be the 9.2 ORACLE_HOME????2. If they are not there then find out where the TNS_ADMIN variable points to.????3. Copy the sqlnet config files from TNS_ADMIN location to $ORACLE_HOME/network/admin. Before upgrading to 10.2.0.3 apply the following patches using opatch to avoid the upgrade failing half way. The upgrade will fail if the following PATCHES are not applied. 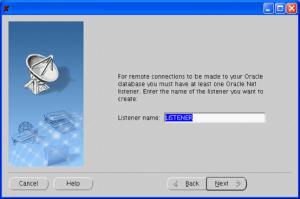 Download the patches and transfer to any directory. Make sure right inventory is picked up – the new 10g patched environment. ld: 0711-783 WARNING: TOC overflow. TOC size: 67040 Maximum size: 65536Extra instructions are being generated for each reference to a TOCsymbol if the symbol is in the TOC overflow area.ld: 0711-783 WARNING: TOC overflow. TOC size: 67040 Maximum size: 65536Extra instructions are being generated for each reference to a TOCsymbol if the symbol is in the TOC overflow area. 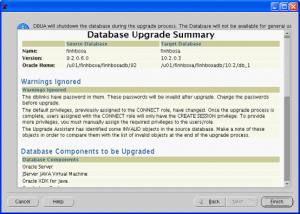 Now proceed with UPGRADE of database. export DISPLAY=10.254.101.25:0.0- This is the I.P. address of your machine/laptop. Should be in the 10g HOME. Takes a long time to go from 11 percent to 13 percent. 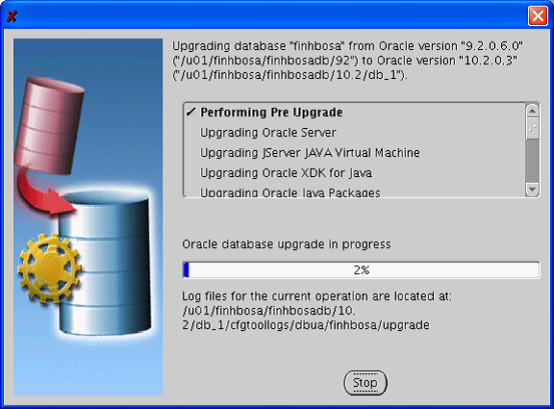 From 32 percent the JServer JAVA Virtual Machine upgrade starts. Post upgrade starts at 58 percent. Takes a long time at 33,39,73 percent. Takes about 7 hours at 82 percent -running the compilation job of all objects as part of the POST UPGRADE…as screenshot above shows. The count should increase .